FRAP represents quality, efficiency and innovation. FRAP: Fierce and Reliable Automotive Parts. An English acronym that suggests our international reach. Fierce: indicates the fierceness of our origins, but also the Ferocity in our quest for perfection. Reliable: stands for the strength and quality of the construction of our components, which places us at the very top of the international scene. Automotive Parts: because for over 85 years we have been able to meet and exceed the highest standards in the automotive industry. FRAP is history in step with the times, with an eye on the future through continuous research, for over 85 years. An experience that came from afar, a passion that has been able to renew and flourish. 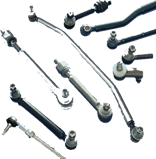 We have always been involved in the design, production and development of automotive components: suspension arms and joints, spherical joints, steering heads, tie rods and other components. 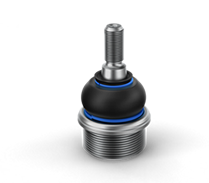 The safety components for automobiles and vehicles with steering axles are part of an increasingly specialized sector, which requires constant technical development and continuous monitoring, to stay in compliance with all regulations. FRAP is well aware of this and has been guaranteeing its customers top quality, first-class service and high efficiency for decades. 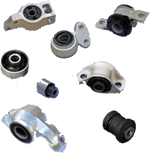 It is no coincidence that some of the most prestigious manufacturers in the world (including Renault Alpine, Alfa Romeo, KTM, Piaggio, Peugeot Scooters, CNH, AGCO Corporation, Argo Tractors and Same Deutz-Fahr Group) have chosen FRAP joints as their equipment of choice for their assembly lines. FRAP is waiting for you at Automechanika, Frankfurt, from September 11 to 15, 2018!